2014 Liveries now in production! Ensuring your race team, brand and partner stands out on track in 2014 is more important than ever. With a premier new championship in North America, brand recognition through a striking team design and livery is important where full or oversubscribed grids will be the norm and multiple classes, of which many will have limited TV exposure. The series has also introduced new number and positon placements which will make livery designs more challenging. 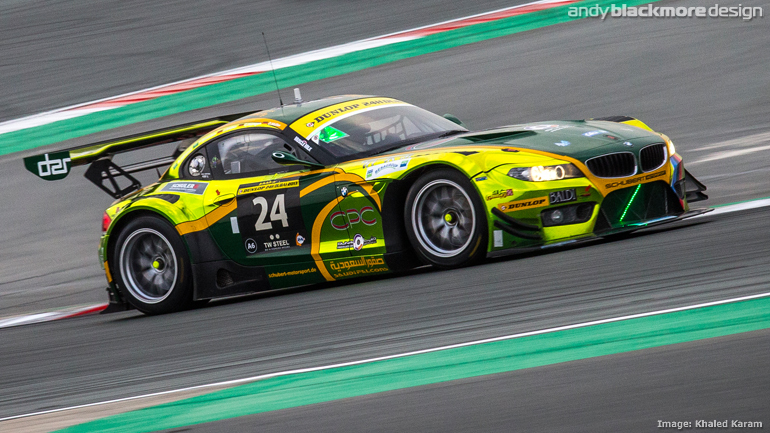 Europe sees similar challenges with new rules in the Prototype class of the WEC taking the headlines and a wide range of GT championships including British GT, Blancpain Endurance Series, FIA GT and GT Open. 2014 is already taking shape for many teams with sponsorship and livery proposals underway. My first 2014 livery will be shown in a couple of weeks. In preparation, I have built up an extensive selection of four view templates to kick start any livery projects which you commission. The majority of these templates have been created using OEM information and data. Scott Elkins is the highly respected COO of IMSA and has been busy drawing up new regulations for the new United Sports Car Championship, which is a merger of the American Le Mans Series and GRAND-AM. The problem is, both parties want their premier class to lead the grid in the new series. The relatively crude GRAND-AM Daytona prototypes don’t have the aerodynamics of a Le Mans Prototype car, but have a higher top speed, given a long straight. The cars are really polar opposites. Road America saw both series on the same bill, although they didn’t run at the same time, you could compare their times for a rough estimate. Thanks to a huge effort by the Bimmerworld crew, the all new BMW F30 generation 3 series took to the track this past weekend. 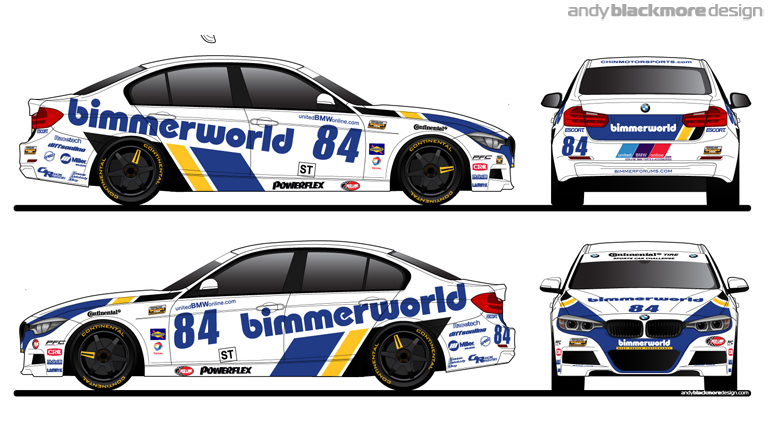 This extra entry marks the start of a new era for Bimmerworld and as indicated in our earlier post an all-new identity! The F30 has been built in-house by Bimmerworld Racing over the past year, while at the same time having to focus on their regular Continental Tires Sports Car Challenge. The 2012 ST Team Champion will use a number of the remaining races as a public test session in preparation for 2014. 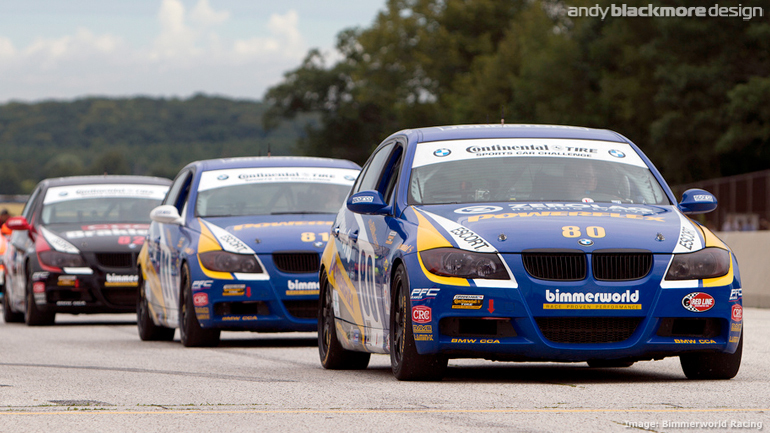 2012 ST Team Champions, Bimmerworld will return to the Continental Tires Sports Car Challenge this year. Two of the three cars will feature my liveries, which have been updated for 2013, while I work with the team on their forthcoming BMW F30 3 series racecar. 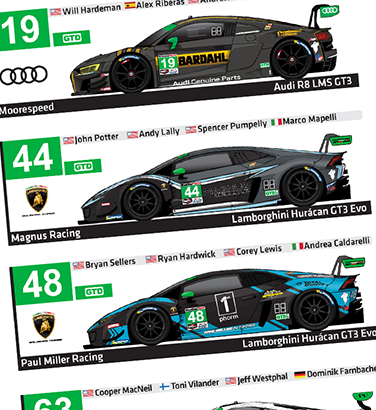 First round takes place this weekend as support to the Rolex 24Hours at Daytona. Wishing the team the best of luck. Continental Tires Sports Car Challenge Team, Bimmerworld continued their successful 2012 season with a 1-2 at Indianapolis and taking the ‘ST’ Manufacturers Trophy for BMW in the series. 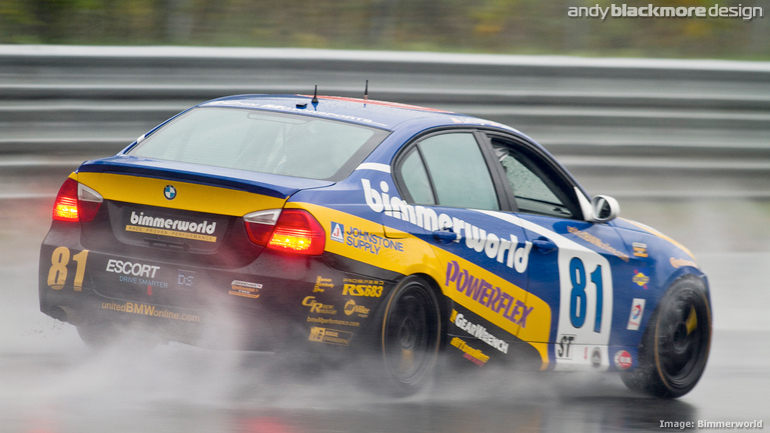 Congratulations to James and the whole team at Bimmerworld Racing. Richly deserved. 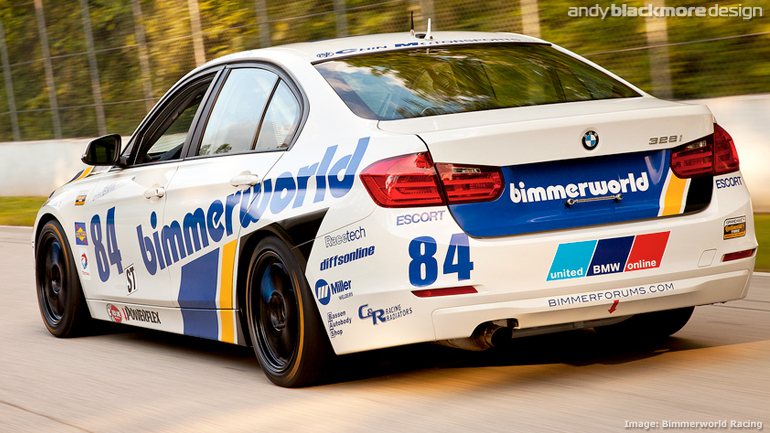 I am pleased to announce I am already working with Bimmerworld on their 2013 projects! 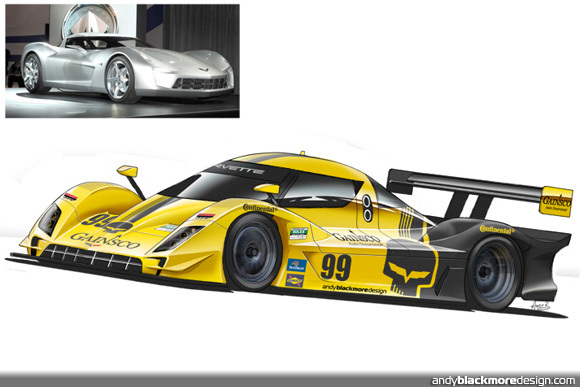 Andy has recently been working with SPEED.com on a design study for the 2012 GRAND-AM Cars. The series has been working with teams for new ideas to improve the look of Grand-Am cars via a chassis update. 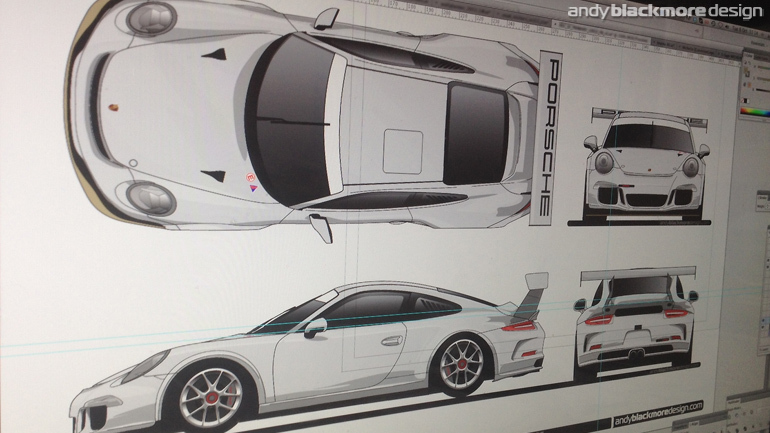 With his vehicle styling experience at McLaren, Yamaha, KWM, Arena and Electronic Arts, Andy was commissioned by SPEED.com to work on some proposals. You can read the full article at SPEED.com and all read more about the actual designs HERE including a Corvette Version, showing how a GRAND-AM Car with more extreme styling. The designs also featured on The Speed Report on SPEED TV. The GRAND-AM Design was well received and spread around the net quickly, creating quite a buzz on Facebook, Twitter and forums such as Ten-Tenths.com, to the official GRAND-AM and SPEED.com forums, the study has been positively received. Endurance-Info.com and DailySportsCar.com (subscription)have also run stories on the study. Grand Am Continental Tires Challenge entrant, Riley Racing commissioned Andy Blackmore for a new livery for their title sponsor, PitchEngine, a PR and media release website. The top half of the car remains Black, while the bottom half has an all-new look. The livery on Riley-Racing’s Mazda RX-8, will make its debut in September.